Latest price rises in key parts of Italy were above 22 percent but Italian property remains affordable and relatively cheap. 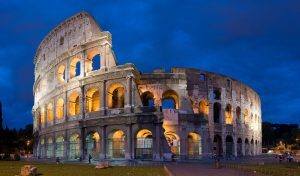 Italy and Italian property : – Emilia Romagna, between Lombardy and Tuscany, has some of Italy’s most beautiful towns and villages. Planning laws severely restrict the construction of new properties, so you’ll find plenty of lovely old houses ripe for renovation. A tumble-down farmhouse is £10,000; £27,000 will get you a stone two-bed farmhouse in need of work in a stunning setting; and a restored three-bed house will set you back £37,500. Calabria is the southernmost province on the Italian mainland – the “toe” that points towards Sicily – and has budget flights to Lamezia Terme. 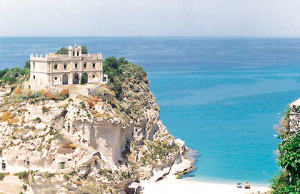 Calabria is an unspoilt and beautiful part of Italy, with both mountains and white-sand beaches. Here, you can find a new two-bed beachfront apartment ; a one-bed apartment with sea views and garden ; and a semi-detached one-bed house. It’s still difficult to find bargain property for sale in Italy in popular regions like Tuscany and the cities,but newly fasionable areas such as Abruzzo, Emilia Romagna, Liguria (Northern Tuscany) and Puglia have plenty to tempt the discerning buyer. Unspoiled Abruzzo is in the heart of the Italian peninsula, where north Italy meets south. It has the Apennine mountains to the west – with some excellent skiing – and the sandy beaches of the Adriatic coast to the east, with glorious countryside in between. Budget flights at Pescara make it easily accessible, too. Property prices here are up to 50 per cent lower than in Tuscany, although its becoming increasingly attractive to buyers looking for good investment potential. Rural buildings for renovation can be snapped up from £6,500; a renovated townhouse is around £48,000; and a three-bed property in good condition, £90,000. We have three developments in Italy where old medieval village houses are being fully restored by local Artisans. The price price of the houses includes all the rsetoration work to high standards.